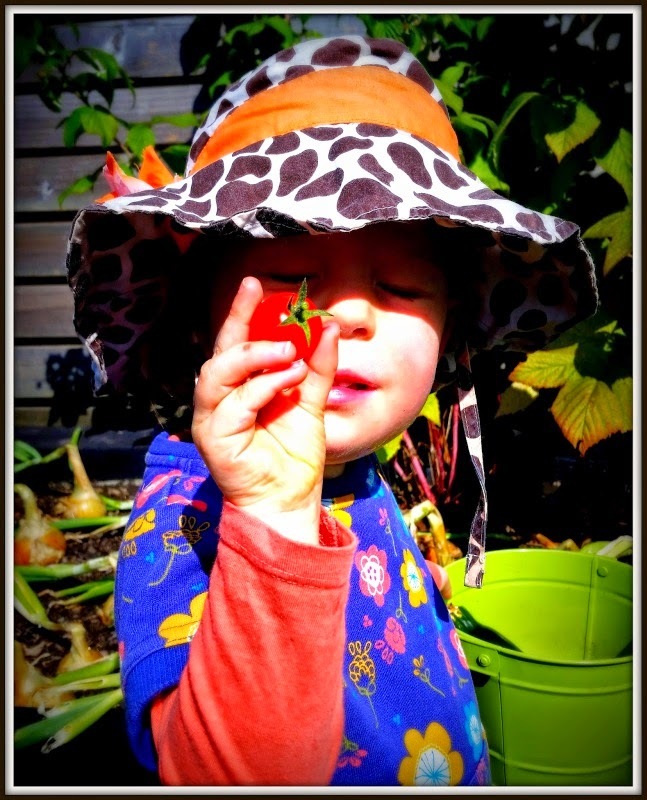 Lulu's Garden: Let's fight that blight! 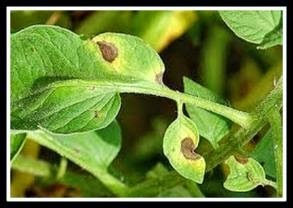 If you're growing potatoes and tomatoes you'll want to avoid a horrid sounding disease called late blight. It's cased by the fungus Phytophthora infestans (now that's hard to say!) The fungus normally appears in the UK from July or August and loves to grow in wet, humid conditions. Read on to find out how to identify it, what to do if you get it and what you can do to try to prevent it. Not a hint of blight in sight! 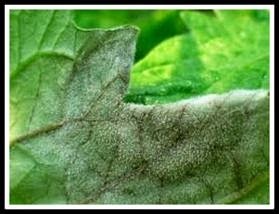 Within 3 days of the fungus landing on a leaf the initial symptoms appear. Small, dark spots develop into lesions. There is often a halo of light green issue around the dark brown lesion. The leaves will shrivel up and turn brown. In humid conditions you might see a white fungus growing around the edges of the undersides of leaf lesions. Next the brown lesions spread to stems and if untreated rain will wash the fungus down to the developing crop of potatoes and tomatoes. Potatoes will develop a red-brown decay below the skin and will rot quickly in storage. 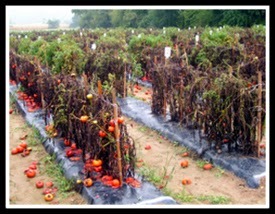 Green tomatoes will develop brown patches and ripe fruit will again spoil quickly. Dealing quickly with an attack is key. If you catch it early you might be able to remove and destroy any diseased leaves. Ideally burn this material or bury it more than 45cm underground. If more than a quarter of the foliage is affected or if the stems are affected then you will have to remove and destroy the whole plant. If it is late in the growing season you can remove the potato foliage near soil level and leave the developing potatoes in the soil for 2-3 weeks to harden the skin and allow the fungal spores to die before harvesting and eating. 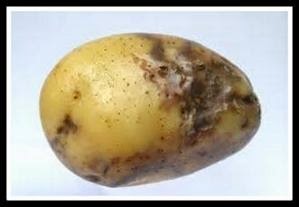 Blight survives over winter in infected seed potatoes, diseased potatoes dumped by your veg plot and in unharvested potatoes left in the soil which will sprout the following season. Black nightshade and bittersweet are common weeds in Britain that can also be a natural host and spreaders of blight. The majority of infections in gardens are due to spores being blown on the wind from neighbouring gardens and allotments. So unless you want angry neighbours, make sure your garden is as clean as possible. Also make sure that you've removed all potatoes at harvest time. Don't just used potatoes as seed the following year but buy certified seed from reputable suppliers. In blight-prone areas you will have best success with first and second early potato varieties as these are harvested earlier, giving the fungus less chance to attack. 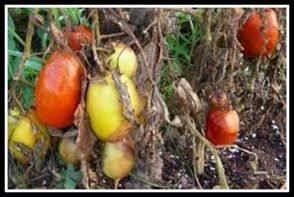 You can still get blight in older cultivars of potatoes and tomatoes that are labelled as "blight resistant". This is because the fungus has changed over time and learned to attack these cultivars. Despite having pretty sounding names such as Pink 6, Blue 13 and Green 33 these new strains are highly infectious. Have a look here to see how resistant your favourite potatoes are to these new blight strains (scores of 5 or higher show some blight resistance). "Sarpo" potatoes still display some resistance. Make sure to chit your potatoes before planting as this will give a shorter time to harvest and less time to be susceptible to the fungus. If you're growing more than one variety of potatoes you can try to alternate rows of varieties with lower and higher blight resistance. This can reduce spread of milder cases. Blight typically affects tomatoes grown outside so you should have better success in avoiding the disease in plants grown in the greenhouse. Despite "Feline" and "Legend" tomatoes being labelled as resistant, they will succumb in prolonged humid conditions. Suttons Seeds have just started to sell a new variety called Crimson Crush that they claim is the "world's first fully blight resistant tomato". If possible grow crops on a 4 year rotational basis so your earth has a chance to clear plant specific diseases in between crops. When watering potatoes or tomatoes make sure to water the soil under the plants rather than the foliage to stop watering the fungus down the plant. Hopefully armed with this information you'll manage to grow yummy blight-free potatoes and tomatoes this year.